Globally, women make up less than 30 percent of the workforce in physics, computer sciences and engineering, according to U.S. News & World Report. 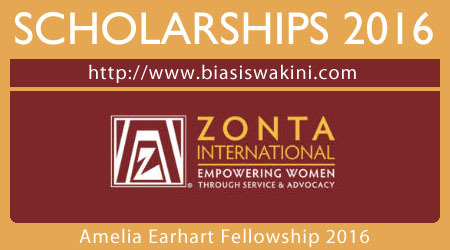 In an effort to carry out its mission that women have access to all resources and are represented in decision-making positions on an equal basis with men, Zonta International offers the Amelia Earhart Fellowship 2016. Since the program’s inception in 1938, Zonta has awarded 1,508 Amelia Earhart Fellowships, totaling more than US$9.3 million, to 1,079 women representing 70 countries. Click here to view a map of where our AE Fellows are from. Women of any nationality pursuing a Ph.D./doctoral degree who demonstrate a superior academic record in the field of aerospace-related sciences or aerospace-related engineering are eligible. Applicants must be registered in a full-time Ph.D./doctoral program when funds are received in September and must not graduate before April 2018. Please note that post-doctoral research programs are not eligible for the Fellowship. Members and employees of Zonta International or the Zonta International Foundation are also not eligible to apply for the Fellowship. Note that previous Amelia Earhart Fellows are not eligible to apply to renew the Fellowship for a second year. The Zonta International Amelia Earhart Fellowship Committee reviews the applications and recommends recipients to the Zonta International Board. All applicants will be notified of their status by the end of April 2017. Applications for the 2017 Fellowships must be received or post-marked by 15 November 2016 to be considered. Applications that are incomplete or late due to postal delays will not be considered. 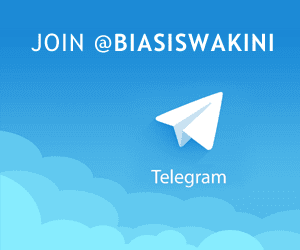 0 Komentar untuk "Amelia Earhart Fellowship 2016"